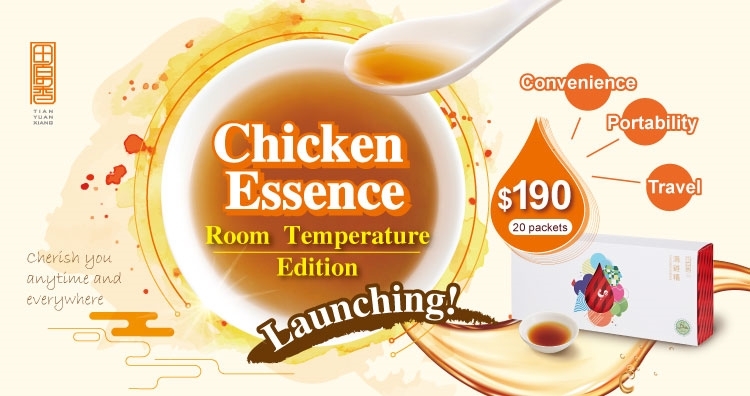 Chicken Essence (Room Temperature Storage) Launching! There are plenty of people considering that Double-boiled Chicken Essence (滴鸡精) is invented by Tian Yuan Xiang. What a beautiful misunderstanding! In fact, Double-boiled Chicken Essence is a traditional health supplement originated in south of Taiwan. The chicken farmers double-boiled the chickens raised by themselves for a whole day to extract one bowl of warm and pure essence. However, as time goes by, this time-consuming process becomes rare and rare. From 2005, Tian Yuan Xiang inherited ancient method and enhanced it with modern aspect. As the first established brand of double-boiled chicken essence in Taiwan, Tian Yuan Xiang makes it a trend in Asia successfully to consume chicken essence as a daily nutritional supplement. With the physical branches in Taiwan, Hong Kong, Macao, Singapore and Guangzhou, Tian Yuan Xiang is a world-class brand that you can count on. Tian Yuan Xiang selects self-raised native chickens (黑羽鸡) as themain ingredient to make prime double-boiled chicken essence. On the hillside of southern Taiwan,the free-range chickens are raised without any chemical and hormone. By following the ancient methods,charcoal burning;every drop of chicken essence is extracted within aceramic pot to keep its authentic taste as well as aromatic scent. No water is added through the whole process. In addition, filtrating the oil of the chicken essence repeatedly reduces its calorie but remains the fabulous taste, which willdefinitelyrefresh you! 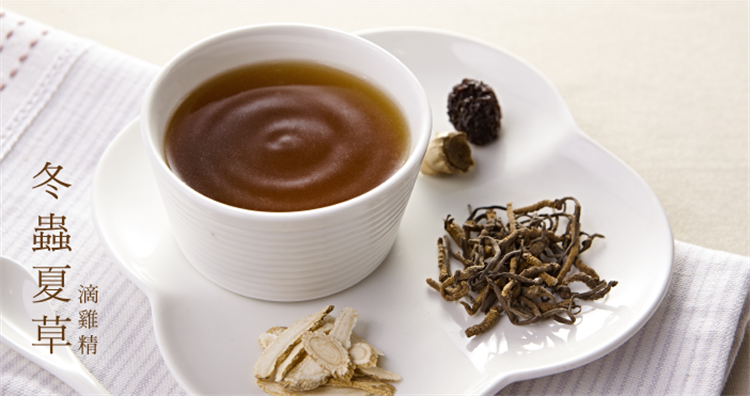 The double-boiled chicken essence is rich in high quality protein and essential amino acids(EAAs).Tailor-made flavors with various herbs are arranged by qualified traditional Chinese medical physicians to satisfy different groups’ needs. Instead of outsourcing the work of making chicken essence, Tian Yuan Xiang carries on its own supply chain from ingredients to packaging, insisting on producing the chicken essence with extraordinary prominence. With great efforts and devotions, Tian Yuan Xiang is certified by both Halal and Health Certificate (Taiwan).